hosted a roundtable event to discuss future cooperation schemes with Ulsan Metropolitan Council on October 24, 2018. In the morning of October 24, UNIST hosted a roundtable event to discuss future cooperation schemes with Ulsan Metropolitan Council. The meeting, held in the main conference room of the Main Administration Building at UNIST, was attended by 20 officials from Ulsan Metropolitan Council, including Chairman Se-young Hwang. It has been also attended by President Mooyoung Jung, Vice President Jae Sung Lee of Research Affairs, Professor In Cheol Bang (Dean of Planning and Research), Professor Jaephil Cho (Dean of Research Affairs), and 10 other key officials at UNIST. The visit, held at the invitation of UNIST, aimed at exploring the current status and key achievements of UNIST, as well as discussing future directions for further growth. The event consisted of a brief history and current status of UNIST, Q&A session with city council members, and a guided tour of research facilities, including UCRF and the Exhibition Hall of Seawater Battery. 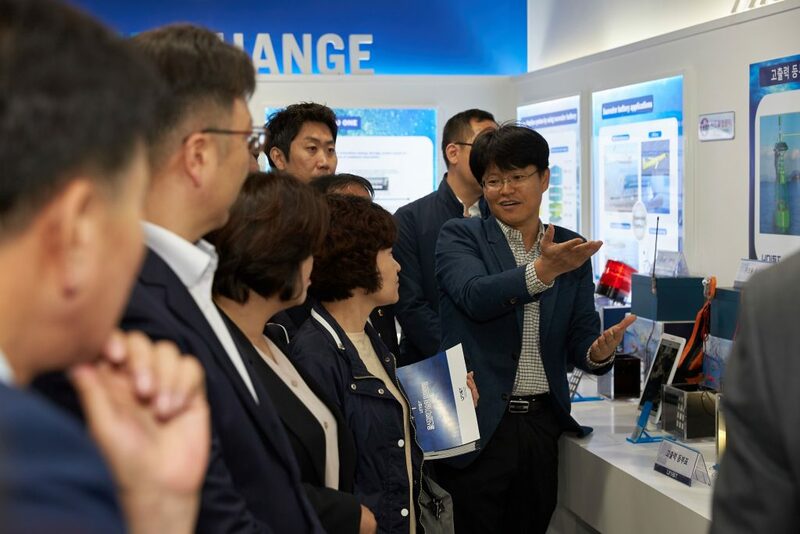 Professor Youngsik Kim (School of Energy and Chemical Engineering) gives an explanation of seawater batteries to the city council members who visited the exhibition hall. 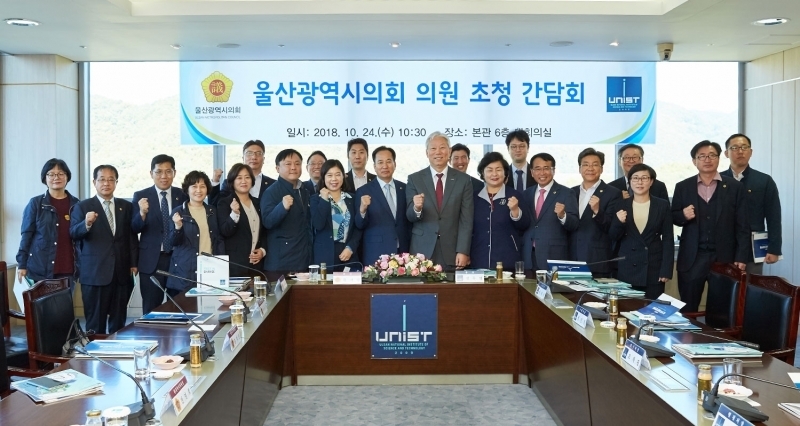 “The active cooperation of Ulsan city and UNIST will play a key role in fostering new industries, such as 3D printing, renewable energy, and biomedical, especially during this economic downturn” says Chairman Se-young Hwang of Ulsan Metropolitan Council.